HA NOI (VNS) — Hoang Anh Gia Lai (HAGL) tied with Dong Nai 2-2 in a 10th round match of the Toyota V. League 1 in Pleiku Stadium yesterday. With the support of fans, host HAGL began their attack from the first minute of the match. However, taking full advantage of a mistake made by HAGL's goalkeeper Nguyen Minh Nhut, striker Jose Nsi helped the visiting team open the score in the 36th minute. After the break, HAGL launched several quick attacks, finding success in the 66th minute when they levelled the score, thanks to the skills of Nguyen Phong Hong Duy. Nine minutes later, after receiving a pass from Nguyen Cong Phuong, Phan Thanh Hau fired the ball into Dong Nai's net to raise the score to 2-1. 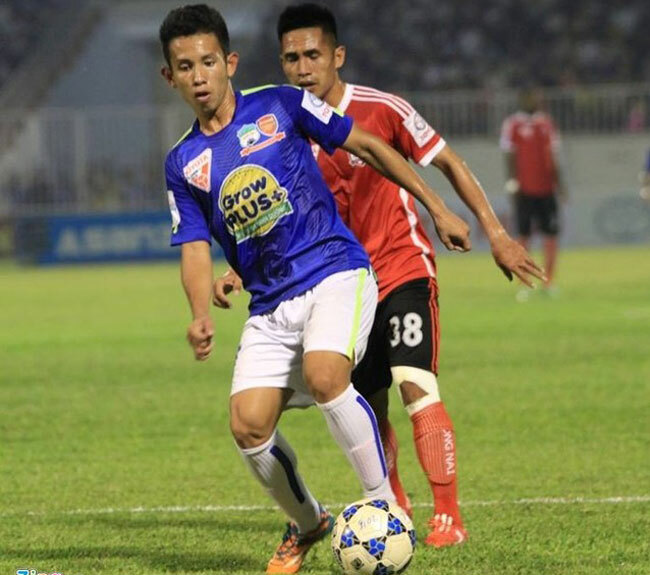 However, in the injury time, Nguyen Hai Anh levelled the score for Dong Nai to 2-2. In a different match in Cao Lanh Stadium, Song Lam Nghe An came from behind to beat Dong Thap 3-1. While Tran Phi Son, Le The Cuong, and Ho Phuc Tinh scored for Nghe An, Nguyen Minh Hung opened the score for host Dong Thap. Moreover, in Long An Stadium, Quang Ninh Coal defeated Dong Tam Long An 1-0. The only goal was made by Minh Tuan in the 25th minute. Among other matches of the national premier league played yesterday, Can Tho lost to Da Nang 0-5, and Hai Phong bested Quang Nam 1-0. On Saturday, Khanh Hoa crushed Ha Noi T&T 1-0.